What makes our team members want to pursue their goals? When are they really motivated to achieve them, and when do they seem to be going along because it is required to do so? There are three needs that must be fulfilled for individuals to want to pursue their goals -- competence, connected, and autonomy. Competence. We need to feel that we are good at what we are doing, and that we are adding value to a greater cause. This is why it is so important to reward our team members in some way, acknowledge their contribution, and provide specifics on what they are doing well. It is also critical to ensure that they understand what they are doing is tied to the organization mission. Connected. We need to feel connected to others, to care for others, and to have others care for us. When working with technology teams, there is value in making sure this exists in some way through team building events, and social events. When the members of the team are confident their teammates care about quality and care about the others, they are more likely to work toward the goals. Autonomy. Our business team members want to feel that they have some choice in what they are doing. The days of dictatorial leadership are long gone. The complexity of our work requires technology leaders to engage their teams in determining their own goals that align with the organizational goals. When these three needs are met, our team members (and business leaders themselves for that matter) will be more committed to working towards, and achieving the goal. 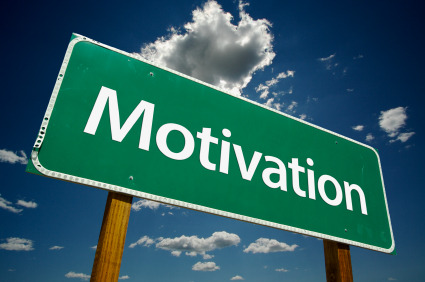 There are two types of motivation -- intrinsic and extrinsic. Intrinsic motivation happens when we are interested in the activity, and we would do it independent of external factors. Extrinsic motivation happens when we perform an activity because of some external driver like money or punishment. Studies have shown that intrinsic need satisfaction on the job will predict both performance ratings and psychological well-being of employees. Those managers that support autonomy will facilitate satisfaction of all three intrinsic needs. When job satisfaction results from attainment of basic need satisfaction, it results in effective performance but when satisfaction results from attainment of desired outcomes that do not satisfy the basic needs, there is not effective performance. What is motivating your team members to perform effectively? What steps can you take to validate your answers to the last 2 questions? Procrastination has been a hot topic recently with a few clients, and I wanted to offer some tips on overcoming it. First let's take a look at the reasons people procrastinate. Lack of Commitment. It may be that you are no longer committed to the task. At one point it was important, and now it is no longer important. You may not have even realized that this is the case, so it stays on your to-do list or in your head, and your stress level increases each time you come across it. Lack of Clarity. The second reason is that you haven't decided what you are going to do about it. For example, let's look at putting an estate plan in place. On your list, you have something called 'Estate Plan'. It is important to you. You are still committed to doing it for all the right reasons (minimizes taxes, family is protected, etc.). The only trouble is you can't do anything about Estate Plan as is. Part of the problem is you're too smart. When you look at something on your list that is too big and too difficult to do, you process that in your head for a few seconds, and move on to the next item. Overwhelm. The third reason people procrastinate is because they are overwhelmed by too much to do. Some will be frozen by this sense of overwhelm, and as a result they end up doing nothing. As David Allen says, "there is always more to do than you can do." Finally, people procrastinate because they are not focused. It is very easy to get distracted today with all of the information, interruptions, and details coming at us. Decide if you are still committed to doing it. If you are go to step 2. If you are not, then take it off the list. Perhaps you are not committed to it right now but may be at some point in the future. In that case, move it to a parking lot list or someday list that you can come back to at a later time. Sometimes, it is more important to decide what not to do, that it is what to do. Now, decide what to do. 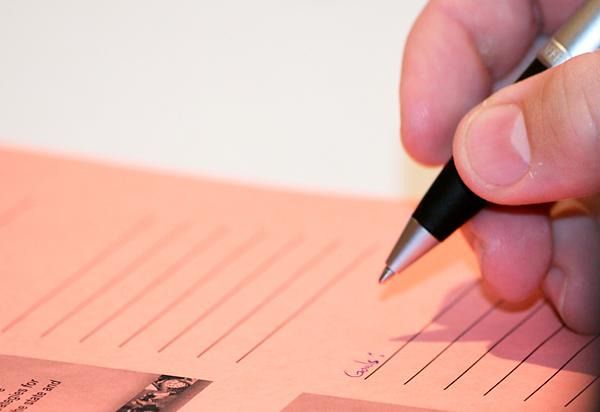 Going back to the estate planning example, you are not going to write yourself. So you may need to hire an attorney to do it for you. How are you going to do that? Perhaps you are going to get a recommendation from a friend. Great, how are you going to do that? Well, perhaps email Sue regarding estate planning attorney. Fantastic, that is something you can do. Now, you've decided what you are going to do about it, i.e. email Sue. By distilling the project into a clear action item, you can begin to make progress. Stay focused on that item. Think about the times when you are most productive, lose track of time, and cranking on all cylinders. It is when you are focused on one thing at a time. It is that simple. We just make it more complicated by skipping over these steps unconsciously. When we do, things pile up and it becomes more difficult to catch-up. Follow these steps and be more productive. What are you procrastinating about right now? How committed are you to completing it? What do you need to do to move this item forward? I recently upgraded to progressive glasses. Please hold the aging jokes. Here is how they work: they have three prescriptions built right in. The top of the glasses are for long distance, the middle part of the glasses are for computer distance, and the bottom part of the glasses are for reading distance. Depending on where you are looking, you will be looking through the appropriate section of the lens, and occasionally you may need to tip your head slightly to get to the right place. This got me thinking about your "vision" as a leader. Technology leaders need to see clearly at all three levels. The one that is the most familiar, that we read about in the leadership literature, and perhaps the most neglected is the vision of where we want to be in 3-5 years. This I would consider distance vision. What does long term success look, sound, and feel like? If you were wildly successful in the coming years, what do you imagine or see yourself doing or being? For an organization, an offsite meeting with management would be a good way to define this vision. For example, you could ask the team to write a wall street journal article talking about the success of the organization say in 5 years, date it October 1, 2015. 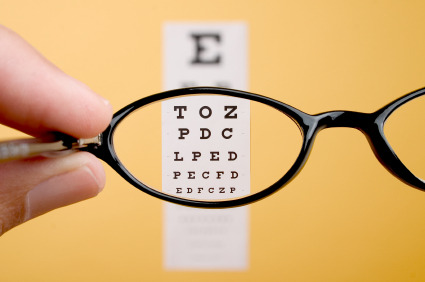 You should update this vision every 2-3 years, and as your circumstances change. How has your vision changed, for example, after 9/11, or after a shift in roles? When you're clear about how your goals tie back to your vision, you will be more focused on them. Next is your medium term vision, the computer distance so to speak. What should your world look like in 6 months or 12 months after you have completed all of your goals? Think about it this way, your goals have a time horizon of 12 months. What will things look like when all of those goals are completed? What will the organization look like, your leadership team, the technology that you are responsible for? The more clear your picture of these things, the more likely it is you are to achieve it. Finally, let's look at your reading vision, perhaps 2-4 weeks out. What is on the immediate horizon that requires your focus now? Meetings that you have to prepare for? Staff development? Training? Projects that need attention? Think about October 20, 2010, what does it feel like looking back on what you accomplished in the last 4 weeks? Congratulations in advance! It is worthwhile to think at these different levels, and be good at adjusting easily amongst them. When you have them clearly codified, you will be able to look in the right place at the right time. And perhaps you will need to adjust slightly to ensure you are looking at the right horizon. What requires your immediate attention right now? What can you do to move in the right direction? How clear are your goals and what you want to accomplish in the next 6-12 months? How clear is your 3-5 year vision? Autonomy. Our technology team members want to feel that they have some choice in what they are doing. The days of dictatorial leadership are long gone. The complexity of our work requires technology leaders to engage their teams in determining their own goals that align with the organizational goals. When these three needs are met, our team members (and technology leaders themselves for that matter) will be more committed to working towards, and achieving the goal. It is that simple. We just make it more complicated by skipping over these steps unconsciously. When we do, things pile up and it becomes more difficult to catch-up. We can learn a few things from the leaders of the Massachusetts Water Resource Authority (MWRA) -- communicate, set expectations, be visible, say thank you, and focus. For those that are not in the Boston area, on Saturday there was a water pipe failure in Weston, MA which resulted in an interruption in water service and a boil water order issued for drinking water for 30 communities in the Boston area. Here are a few ideas that the MWRA did well in handling this crisis. The MWRA got the word out early and quickly. I first heard about it on Facebook, then read the press release online, and saw the news report later that evening. In downtown Boston, the police canvassed the neighborhoods with large bullhorns to get the message across. They were also very clear about various uses of the water (okay for bathing, not okay for drinking, brushing your teeth, washing dishes). We knew exactly what we should do and what we shouldn't do. Very early in the process, I heard MWRA officials explain that there was a three-stage process to correct the problem -- secure the leak with concrete casing, test to ensure the pipe can handle the water flow, and finally test the quality of the drinking water. Throughout the process, the officials explained where they were in that process. They also explained that this three-step process could take several days to resolve. In general, people saw it as a minor inconvenience. If MWRA had communicated that it would be resolved in 24 hours and then taken two days, I think people would have been less understanding. There was at least one press conference led by the MWRA Executive Director, and several by Governor Patrick keeping the communities informed of the status of the repairs and reminding people about the water boiling requirements. During the press conference on Monday morning (24 hours before the boil water order was lifted), the Executive Director thanked his team for their tireless effort to resolve the problem. This came across in a very sincere and appreciative way. It is always important to thank your team for their commitment and for good work. From what I can tell, resolving this problem in less than three days was a project that required laser focus. The team worked around the clock until the pipe was repaired. Remember, we are most productive when we focus on one project. During a crisis, we naturally clear our head of all the other distractions and focus on the task at hand. The trick is to do that in the absence of crisis. 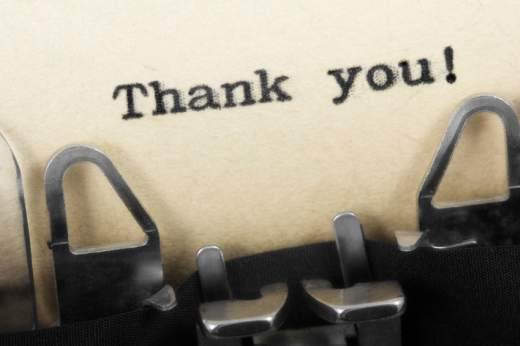 What can you thank your team for now? How good are you at setting expectations? What are you working on right now that requires your focus? Is Your Personality Right For Getting Things Done? This post is also available at GTD Times. You may wonder how your personality supports your ability to get things done. In this article, I will elaborate on various preferences and the connection to Getting Things Done® (GTD®). This is a follow-up to my response to David Allen's post about GTD and Personality Types. Myers-Briggs Type Indicator® instrument (MBTI®) is a self-assessment which measures people's behavioral preferences across four dimensions. Learn more from the creators of this instrument. Let's start with the fourth MBTI dimension which is our attitude toward the external world and how we orient ourselves to it. Judgers (Js) prefer structure and lists; Perceivers (Ps) prefer experience, flexibility, and options. Js like GTD because they like to plan, enjoy having lists, and finishing things. Ps do not like making lists as much as the Js do; they like having options available to them. GTD facilitates this very nicely because when making decisions on what to do, there are options available based on your energy level, time available, and context. The third dimension identifies how we make decisions. Thinkers (Ts) make their decisions based on facts and principles. Feelers (Fs) make their decisions based on personal values. When defining next actions, Ts may be likely to focus on the tasks and problems, Fs may be more likely to focus on relationships. GTD can help strike the right balance between tasks and relationships. The second dimension identifies how we take in information and the type of information we prefer. Intuitors (Ns) see possibilities and connections, and are future-oriented. Sensors (Ss) prefer facts and details and live in the present. Thinking about the Horizons of Focus, Ns will be better at the top of the pyramid - purpose, principles, vision, and goals which are all future-oriented. Because of their propensity for connections, Ns are more likely to want to make the connection of next actions to projects. Ss may prefer to work at the project and next action level - the detail and more here and now. We may say, Ns like perspective, Ss like control. 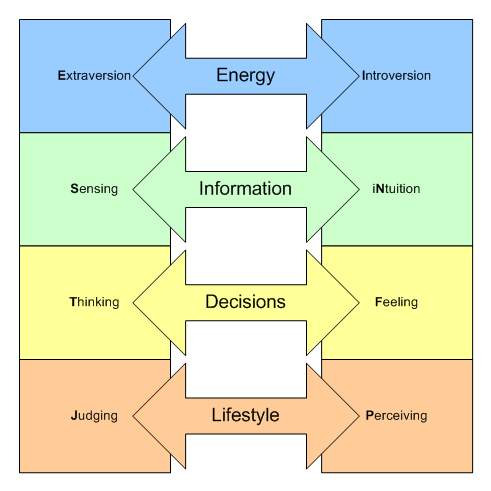 Coming back to the first dimension of MBTI, this identifies how we get our energy. Extroverts (Es) get their energy from being with other people. They focus their energy and attention outward. Introverts (Is) get their energy from spending time alone, and they focus inwardly on thoughts. The weekly review requires time alone, thinking, and focus. For this reason, Es who prefer to be out and about with people and things may find this process more challenging. It will work better for Is since they enjoy time alone, thinking, and the inner world. There is much more to explore here recognizing that the combination of these preferences (the 16 MBTI types) has its own set of characteristics. All MBTI types certainly have the ability to get things done, and the key is self awareness which will help leverage the strength of behavioral preferences. The beauty in GTD is in its flexibility. So by recognizing your MBTI type, you can customize GTD to cater to your preferences. Technology leaders face increased challenges. Don shares insights on how effective technology leaders manage incoming information. A popular expression claims that "all words ever spoken by human beings" could be stored in approximately 5 exabytes of data. Today, the global monthly internet traffic is estimated to be 21 exabytes. In case you were wondering, an exabyte equals one trillion gigabytes. http://en.wikipedia.org/wiki/Exabyte. By 2020, there will be three billion people using the internet which will be 1/2 the world's population. Technology leaders, and many other leaders, are dealing with increasing levels of complexity and rapidly growing amounts of information. How do technology leaders effectively master increasing levels of complexity, and stay ahead of the curve? Capture Everything! The only way to deal with this level of complexity is to focus on it, and the only way to do that is to capture what has our attention. Our minds are phenomenal with respect to the amount of information they can process. Imagine the potential if we could give our minds the opportunity to process and focus as opposed to remember. There was a study done several years ago by American psychologist George Miller who concluded that humans can hold about seven things in our short term memory. Anything more than that and we start to forget. Trust. We have to trust ourselves to use it. If we don't trust it, we will try to keep everything in our mind. Personal. The format of the system must be personal to you, Is in a format that is personal to you; some prefer paper, some prefer electronic. There are a number of projects going on in your work and life (David Allen, productivity expert, estimates 50-100) that are unfinished. It is unrealistic to think that we can track all of those projects effectively in our head. We need a way to keep these projects moving forward without having to think about them all the time. Allen says, "there is an inverse proportion between on your mind and getting it done." Let me bring your attention to a few things that may need to be captured in some way. Everything on your mind, as we have discussed. Take some time and write down everything that is currently in your psyche. It is an empowering exercise. What's on your desk that is not equipment, supplies or decorations. Voicemail that you have not acted on. These are all items that are not in the state you intend them to be in when they are finished. They need to be captured and tracked in some way. My suggestion here is simple. Review your capture tools and identify ways to improve them so that you can free your mind to focus on solutions as opposed to remembering. When you remove remembering tasks from your mind, you automatically and effortlessly start focusing on the bigger picture items like goals, vision and purpose. These are the things that you are really being compensated to do. What improvements can you make with your capture tools? What is on your mind now that is not getting done? What is on your desk that is not finished that you would like move forward? Join Don as he shares with you some concepts and methods to track and categorize what has your attention which facilitates your progress effortlessly. I was sitting in a Starbucks the other day, having a cup of coffee, and processing email until my next appointment. There was a young woman, perhaps in her early 20s, struggling to get her coat off. As it was zipped up almost to her neck; it was difficult for her to even see the zipper. She asked the girl sitting next to her to help her unzip the coat. She tried for perhaps 5 minutes and could not solve the problem. The whole section of the store was engaged with this process, thinking they could help with their hope. So, I offered to help thinking a good tug would be the right solution. You know the situation when the zipper catches the fabric on the other side and gets jammed. I also failed to get it unzipped, partly concerned I may rip or damage the coat. So, off she went to the ladies room to try herself. A short time later, she came back with coat in hand. This got me thinking about the leadership lesson here -- Know when to ask for help. She was probably sitting alone for less than two minutes before she reached out and asked for help. She could have sat there in agony, sweating, and uncomfortable. The problem would have stayed on her mind, distracted her from what she was trying to do, and ultimately negatively impacted her productivity for a much longer period of time. Why ask for help? There are three key reasons why you should ask for help at the right time. (1) You will solve the problem more quickly. There is only so much you will be able to do on your own. 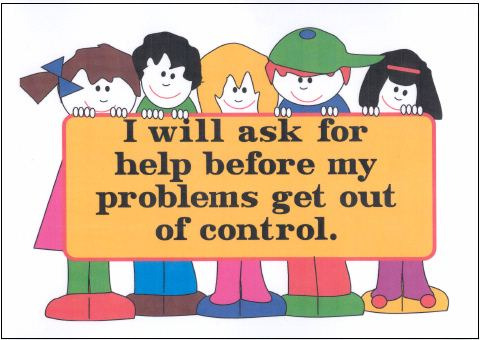 (2) Asking for help makes you feel better knowing that you have people that you trust and can rely on for help. (3) You will build stronger relationships when you ask others to help you. People feel better when they can offer their help. Who to ask? Don't discriminate -- you can ask your team, your peers, your managers, your coach. A good coach will help you think about the problem in a way that you have not thought about it before. A good coach is a good thinking partner. It is wise to identify two or three key partners from the groups above to start with. You never know who may have some insights or experience to help you, or may know someone that does. How to ask for help? The way you bring the problem forward can influence the help you get. You have an opportunity to increase credibility with the way you ask for help. So first, frame the problem in such a way that it is clear what you are talking about. Next, describe what you have already done. This will show your creativity and commitment to solving the problem, and avoid re-covering ground you already have. Third, be very clear about what you are asking. For example, it would be better to ask, "what are some ways you have dealt with similar situations," or "who do you know that has some experience with this". Finally, listen and accept the suggestions without trying to filter or responding, "yeah, but". This is such an empowering act, to have the confidence in yourself to reach out and get others involved in your struggle, build strong relationships, and improve your productivity as a result. To finish the coat story, I asked, "how did you get the coat off?" The young woman responded that she gave it a good strong tug and the zipper released. She ended up resolving it herself, largely due to the help had she already received. Who can you ask to help you? How can you frame the problem and ask for specific help? Inc Magazine recently published an article with lessons from 15 American CEOs about productivity. 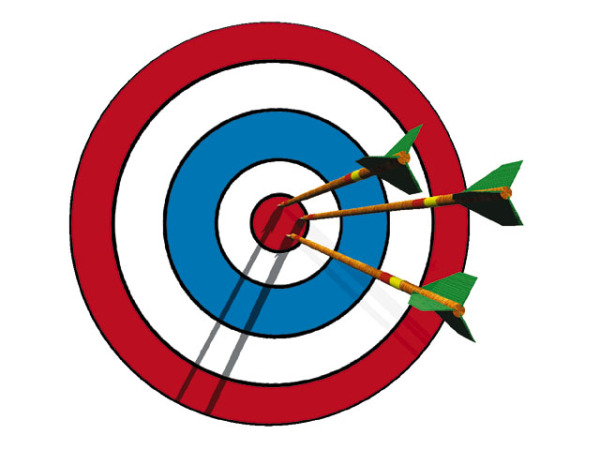 Just so we are absolutely clear about this, I wanted to separate these in to three categories for you: bulls eye, on target, and missing the mark. 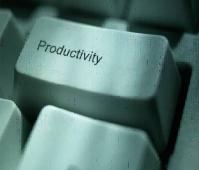 These productivity ideas are right on the mark, and I like the insights of these executives. My take: Communication is key. The richest form of communication is face-to-face and next to that is the phone. Choose your communication medium based on the context. Email, online is not always the right answer. Keep in touch with your customers, your team, your partners. My Take: This is a unique idea which is to have your assistant or someone capture all of the potential interruptions and summarize them at the end of the day. Now, part of being effective is making conscious decisions in the moment about the importance of an interruption relative to what you are working on. This helps compartmentalize it a bit. If you don't have an assistant, you could emulate this in some other way. My Take: Your job is knowledge. Capturing information and ideas from your team in a structured way that team members can refer to as needed is a big productivity boost. A wiki is great technology to do that. My Take: It is easy to get bogged down in the day to day demands of you job, and react to the latest and loudest. It takes discipline to block time to think -- about strategy, vision, goals. My Take: The simple truth is, and the research supports this, that we get more done when we are focused on one thing than we are when we try to do multiple things simultaneously. My Take: The spirit of this idea is very good which is to stay in touch with your team, your extended team, and your entire team as appropriate. Keep looking for and assessing talent. As Jim Collins says, "people are not your greatest asset, good people are your greatest asset." These ideas are good but need a clarification to make sure you are making the most of them. My Take: Yes, some meetings are worth skipping. And meetings 8-10 hours / day every day do not make sense. In the spirit of face-to-face communication, meetings are worthwhile. Face-to-face communication is important. To make sure meetings are worthwhile, the planner should invite the right people, communicate an agenda 24 hours ahead of time, and be clear about the successful outcome. My Take: Artificial team sizes and random meeting end times can actually hurt your productivity. I would rather see the spirit of the rule followed to keep teams small and use your judgement. Again, make sure meeting agendas are clear, and use the time necessary to get done what you need to, even if it is less time than scheduled. The Executive: Julie Ruvolo, co-founder and COO of Solvate. My Take: Nothing really new here, businesses have been hiring contractors for years. My take: Again, nothing really new here. Yes, email is a great documentation tool, and you should use it to schedule meetings and confirm appointments. It just wouldn't make my top 15 productivity concepts. My Take: Yes, in fact schedule time to exercise. If you save time, it will never happen. Schedule around it like you would any other appointment. These next few items are just not good productivity best practices. I am sure they work for those executives, just be cautious about accepting them broadly. My take: David Allen, productivity guru, says that priority is actually the fourth criterion to look at when deciding what to do. Number one is context (where you are and what tools you have available), number two is time available, and number three is your energy. Then priority. Your number one priority may require two hours and if you only have ten minutes right now, then do something else. The idea: Be extra-productive during off hours. Choose work over social life. My Take: I know the lines between work and personal are blurring and they have been for a number of years. We are doing personal business at work and vice versa. I advocate keeping an all-life to do list, and working on it at the appropriate times. 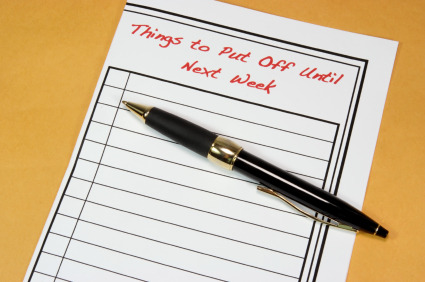 The bottom line is be productive when it makes sense, not more or less during off hours as Mr. Priebatsch suggests. And make time for social, fun, family, and whatever else is important to you. Balance. My Take: Generally, we underestimate how long things take to complete, proven by research called the planning fallacy. So this concept of working faster to complete something is less time than you think it will take is unrealistic and will put unnecessary pressure on yourself. It seems to be prone to mistakes. My take: A daily review of your schedule and actions is critical to help you stay focused on the right things for the day. A weekly review of your full inventory of actions, schedule, and important to keeping it all up to date. Othwerwise, your actions get stale and you don't trust your lists. Adding yet another review to see how you did at the end of the day is superfluous and is not the best use of time. Which of these can you implement immediately to be more productive? 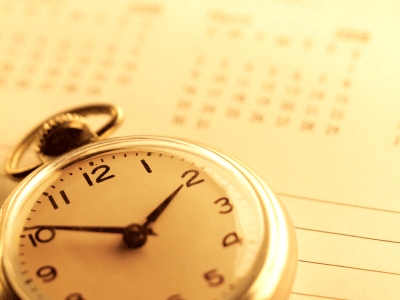 What is your personal most productive time of the day that you can plan to get your most challenging actions complete? How can you use technology to support your productivity practices? I would love to hear your ideas on productivity, and how they help you and your teams. Call KCC at 617-275-2554 OR email contactus@khouricc.com for a complimentary discussion on how to motivate those around you.